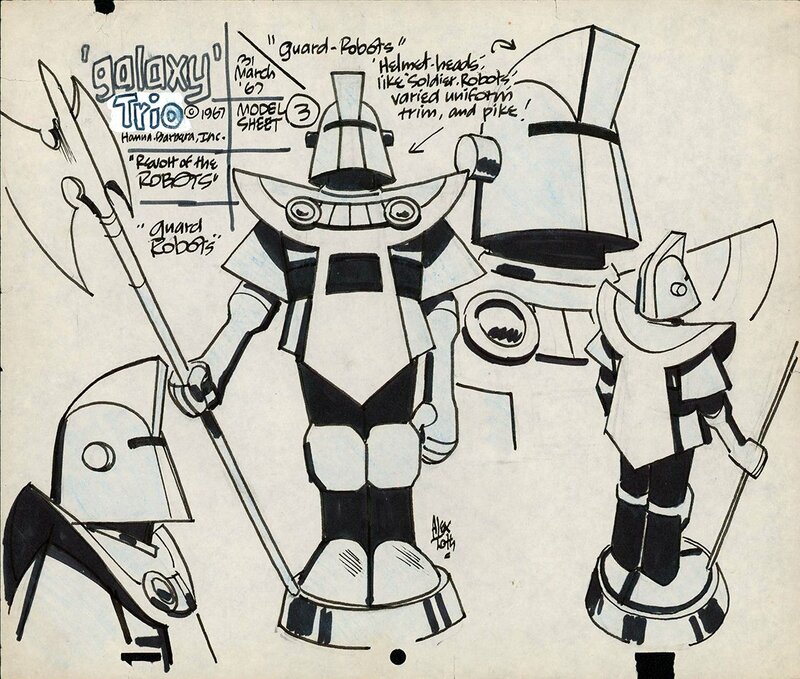 Great Hanna-Barbera character sheet from the Revolt Of The Robots episode of Galaxie Trio. Pen and ink on animation paper, 12 1/2 x 10 1/2 inches. Very good condition, there is a small piece missing along the top of the paper and another along the bottom, neither affecting the drawing. Signed by Toth.